A prosthetic system improved episodic memory performance by 37 percent in test subjects, offering a possible treatment for neurodegenerative diseases, stroke, and head injury. 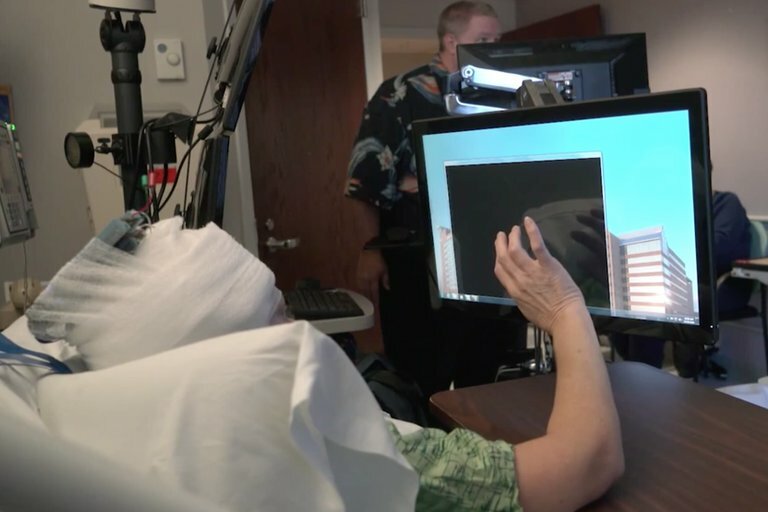 Researchers at Wake Forest Baptist Medical Center and the University of Southern California described last month in the Journal of Neural Engineering the first human test of a prosthetic system that augments the brain’s ability to access memories. Episodic memories — shorter, daily recollections, such as where you put your keys — are more at risk of being lost due to neurodegenerative diseases, like Alzheimer’s, or following a stroke or head injury than longer-term, reference memories such as how to solve algebra problems. The researchers tested their prosthetic memory system on 15 volunteers with epilepsy. The volunteers’ epilepsy treatment required the implantation of electrodes directly on their brains, which allowed the Wake Forest and USC researchers to connect their prosthetic device. The subjects were asked to participate in several memory exercises. In the first, they were shown an image, such as a block of color, on a computer screen for a period of up to 70 seconds. After a brief delay, they were asked to identify the image among a group of four or five images. In a second test, subjects were shown a distinctive photograph. Then, after a brief pause, they were asked to identify it among other photographs. During the tests, the team's prosthetic system tracked electrical patterns in the hippocampus, which is the area of the brain responsible for memory formation and constructed correct-answer codes. After a 75-minute delay, the researchers showed the participants sets of three pictures, which included the original photograph along with new photos. When stimulated with the correct-answer codes, the participants’ rate of correctly identifying the original photograph improved by 35 percent over a baseline. "This is the first time scientists have been able to identify a patient's own brain cell code or pattern for memory and, in essence, 'write in' that code to make existing memory work better, an important first step in potentially restoring memory loss," the study's lead author Robert Hampson, professor of physiology, pharmacology, and neurology at Wake Forest Baptist, said in a statement. “In the future,” Hampson added, “we hope to be able to help people hold onto specific memories, such as where they live or what their grandkids look like, when their overall memory begins to fail."